As a member of the military, credit cards may be one of the last things on your mind. But because you qualify for special financial benefits under the Servicemembers Civil Relief Act (SCRA), certain credit cards could help you save money. Check out the best credit cards for military members below, find the one that’s right for you, and apply online in minutes. As a member of the military, you qualify for unique financial benefits. Between organizations that offer unique rates and programs for military members to federal laws that keep fees low, there are many financial benefits for both active and retired military service members. For example, military members can obtain zero-down mortgages through the U.S. Department of Veterans Affairs (the VA). VA home loans allow veterans to purchase a home without a down payment or private mortgage insurance, lowering the overall investment cost. Some states also offer property tax reductions for veterans. Other financial benefits available to military members include no money down loans on goods and services and financing for education. Another big financial benefit? Fantastic credit card options with low or no annual fees and a slew of other benefits. According to the Department of Justice, the Servicemembers Civil Relief Act (SCRA) is a federal law that makes special allowances for military service members. SCRA helps service members “postpone, suspend, terminate, or reduce” their civil obligations to focus on professional responsibilities. While most protections of the SCRA apply only during deployment, there are special conditions that extend the coverage. For example, approved leave or a combat wound would prolong a service member’s SCRA protection. One part of the SCRA says that military members can reduce interest rates to 6% during their military service. The reduction applies to credit cards, mortgages, student loans, and other loans. However, the best credit cards for military members often give lower rates than the SCRA-mandated one. 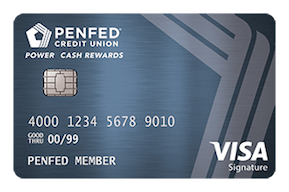 The PenFed Power Cash Rewards Visa Signature Card offers higher-than-average cash back as an exclusive benefit to military members. While cash advances, credit card checks, and balance transfers do not earn cash back, there are no other purchasing limitations for the cash back benefit. The introductory 0% APR for 12-months on balance transfers is generous but does incur a 3% transaction fee on each transfer. Also, cardholders who prefer paper statements will be charged $1 per month for them, but electronic statements are free. 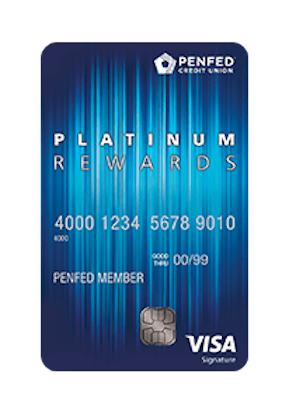 Service members who often shop with their PenFed Power Cash Rewards Visa Signature Card can earn more cash back than with other cards, and there are no limitations on what you can purchase to earn rewards since each purchase is eligible. Service members who drive a lot can benefit from more cash back when using the PenFed Platinum Rewards Visa Signature Card at the pump. Groceries also qualify for higher amounts of cash back, so if you fill up your gas tank or get groceries often, this card helps put some of that cash back in your wallet. The introductory 0% APR for 12-months on balance transfers is generous but does incur a 3% transaction fee on each transfer. Cardholders who prefer paper statements will be charged $1 per month for them, but electronic statements are free. Service members who purchase gas often or those who frequently shop for groceries can benefit from higher point earnings than with other cards. When gas costs are high, earning cash back for fuel purchases is a helpful perk. Service members who frequently travel can benefit from the Chase Sapphire Reserve’s high points earnings on both travel and dining purchases, along with several travel-related perks. All other purchases also qualify to earn points, but the main highlights are specific benefits toward travel expenses and dining. The Chase Sapphire Reserve has an annual fee of $450, making it one of the more expensive travel rewards cards available, but cardholders who travel regularly can easily take advantage of the annual travel credit to help ease the cost. Service members who travel often and want the conveniences of traveling with ease. The Chase Sapphire Reserve Card helps cardholders earn cash and points back that can be applied towards future travel plans. In addition, it’s a fantastic option for those who dine out often as well. Military members and civilians alike can earn generous rewards to put towards travel using the Chase Sapphire Preferred Card. Plus, earn 2x points for every dollar spent on most dining and travel-related purchases. Other perks, like shopping discounts and extended warranty protection, also help save additional money. 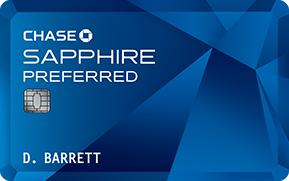 While the Chase Sapphire Preferred does incur an annual fee, cardholders who are able to take advantage of the card’s ample benefits can ultimately save more than the annual fee. Service members who travel regularly enough to utilize a travel credit card and can take advantage of the rewards. While not the main highlight of the card, the generous earnings rate on both dining and travel-related purchases is excellent for everyday use. For service members who live on base, a comprehensive credit card rewards structure for military base purchases is a huge perk with the USAA Cashback Rewards Plus American Express Card. Gas, groceries, and other on-base purchases earn maximum cash back without penalty APRs or over-limit fees. $150 bonus after spending $500 on qualifying purchases in the first 90 days account opening. Terms apply. Cash back earning categories are capped at $3,000 per category, per year, which can be a drawback if you’re a big spender. Service members eligible for USAA cards who either live on or spend time regularly on base, and can take advantage of this no-fee card and it’s generous cash back benefits. 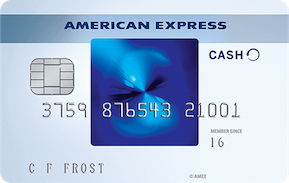 The Blue Cash Everyday Card from American Express is an excellent option for service members looking for a no-annual fee card to use on everyday spending. The 0% intro APR for 15-months is another generous benefit, as many other cards offer a shorter promotional period. $150 cash back after spending $1,000 on purchases on your new card in the first 3 months. Terms apply. While not necessarily a drawback to everyone, cash back is received in the form of Reward Dollars that can be redeemed as a statement credit. 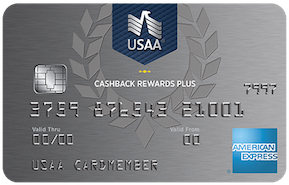 Service members with good or excellent credit looking for a fee-free cash back card will appreciate the Blue Cash Everyday Card from American Express for its high cash back earnings potential and long introductory APR period. 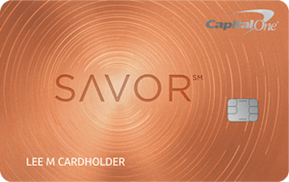 The Capital One Savor Cash Rewards Credit Card perfectly caters to those interested in earning high cash back rewards on dining and entertainment. It shines even further by offering other generous lifestyle rewards with cash back on groceries and other purchases made using the Card. While this card does have an annual fee after the first year, cardholders who spend regularly on dining and entertainment can easily make up the difference in cash back savings. Service members who dine out often and/or enjoy entertainment purchases on a regular basis will appreciate the Capital One Savor Cash Rewards Card. It’s easy-to-use, doesn’t require cardholders to sign-up for bonus categories or keep tabs on rotating categories, and offers great rewards in return. 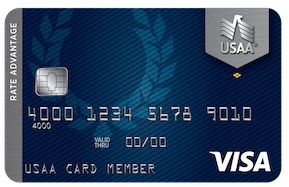 Service members looking for a credit card with low interest will find the USAA Rate Advantage Platinum Visa Card’s low APR hard to beat, especially as these perks are not available to the general public. Enjoy the lowest APR of any major bank in the U.S. While praised for being straightforward and simple, the USAA Rate Advantage Platinum Visa does not offer rewards like points or cash back; it’s main value is its low interest rate. 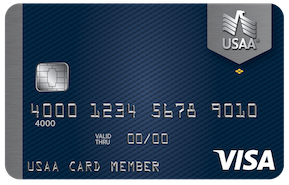 Service members eligible for USAA cards looking for a basic credit card with low interest rates and no annual fee. Service members looking for a generous 0% introductory APR period for transferring balances will appreciate the benefits of the Capital One Quicksilver Card. Plus, cardholders can earn a one-time cash bonus and unlimited cash back on every purchase, every day. The 0% introductory APR period is among the best available and beneficial for those looking to pay off debt, but if cash back rewards are more important, there are better rewards cards available. 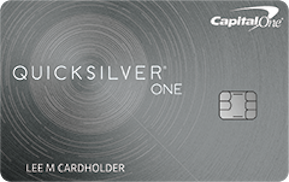 Service members who are working on paying down debt and can benefit from the long 0% intro APR period offered by the Capital One Quicksilver Card. Even after the lengthy promotional period ends, cardholders enjoy an unlimited 1.5% cash back on every purchase, without the worry of paying an annual fee. Service members with limited or fair credit who are rebuilding or just starting to establish credit can benefit from the USAA Secured Card from American Express. The card automatically connects to a CD that grows while your account stays open, helping you earn interest and establish credit simultaneously. While the USAA Secured Card does help rebuilding and establish credit, it does have an annual fee of $35. Service members eligible for USAA cards looking for assistance with establishing or rebuilding credit. For service members who have lower credit, fair or below, the Capital One QuicksilverOne Cash Rewards Card offers cash back rewards and can help improve your credit score. By making on-time payments for at least five consecutive months, you could become eligible for a higher credit limit on the card. The ongoing APR for the QuicksilverOne Cash Rewards Card is higher than some other available options, however, those with lower credit can get access to cash back rewards savings better than other programs. There is also a $39 annual fee. Service members who find it challenging to get approved for lower interest rate cards. This card can help you steadily increase your credit score while earning rewards along the way. What are the best credit cards for military members with bad credit? The Capital One QuicksilverOne Cash Rewards Card isn’t just for military members, but it’s one of the best options currently on the market for anyone with average or bad credit. While there are a variety of factors that go into whether or not you’ll be approved, the credit criteria for this card is average, giving military members with lower credit access to an increased credit limit plus credit management tools. These credit management tools and education play a big part in why we think it’s one of the best choices available for military personnel who want more guidance towards improving their credit. What are the best credit cards for veterans? The Blue Cash Everyday Card from American Express is another card that isn’t specifically for military members but offers a slew of valuable benefits. It has no annual fee and allows members to earn cash back on a variety of purchases. Another good choice for veterans is also the PenFed Power Cash Rewards Visa Signature card, which offers a higher cash back program rate for retired and honorably discharged military members. What are the best credit cards for military spouses? For military spouses, a USAA Cashback Rewards Plus American Express Card can help families earn cash back on on-base purchases like groceries, gas, and more. As an added bonus, this card has no annual fee and the lack of penalty APR can help military spouses manage any debt more easily. What’s the difference between military credit cards and low-interest credit cards? While there is some crossover between military and low-interest credit cards, the best credit cards for military personnel grant military members lower APR percent rates than civilians. Whether you’re active duty, military reserve, or a veteran, applying for a military credit card can help you lock in a lower interest rate than standard low-interest cards. Military members also benefit from guaranteed APR rates during active duty due to SCRA. Team FBZ selects the best credit cards in each category based on overall consumer value. Some of the factors we evaluate include fees, promotional and ongoing APRs, and signup bonuses. For rewards credit cards, we also consider earning and redemption rates, redemption options, and redemption difficulty. Cards are eligible to be chosen in multiple categories. Disclaimer: This content and the opinions expressed here are the author’s alone and have not been provided, commissioned, or endorsed by the credit card issuer. Responses are not provided or commissioned by the bank advertiser, and they have not been reviewed, approved, or otherwise endorsed by the bank advertiser. It is not the bank advertiser's responsibility to ensure all posts and/or questions are answered. All information was accurate at the time of this post but card terms and conditions may change at any time.